I got out the old tablet tonight to work on the shop logo, but I’m a bit rusty. All my letters look like kid’s handwriting! But instead of getting frustrated, I just went with what I really wanted to draw. 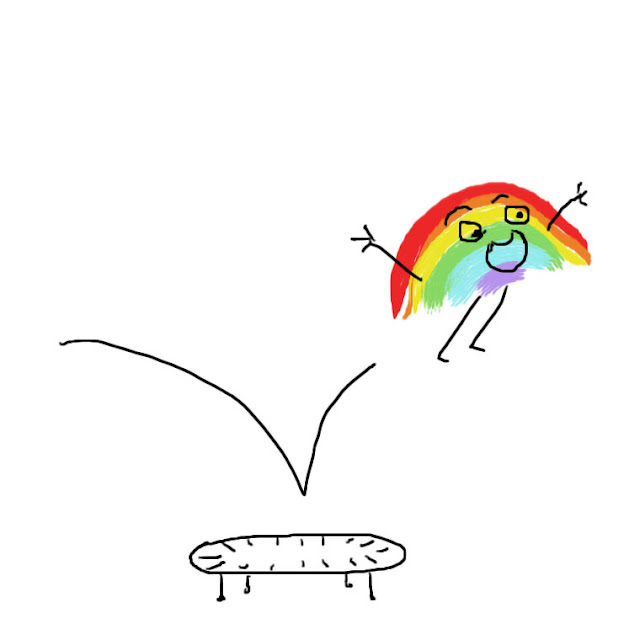 This one is a rainbow having a lot of fun on a trampoline. This one is two clouds in England drinking tea together. I sometimes struggle with the pull between being disciplined and going for my goal, and doing what I feel inspired to do or what I want to do. But I think sometimes doing what you feel inspired to do does actually help get you to your goal, it’s just not always obvious the route you are taking to get there. 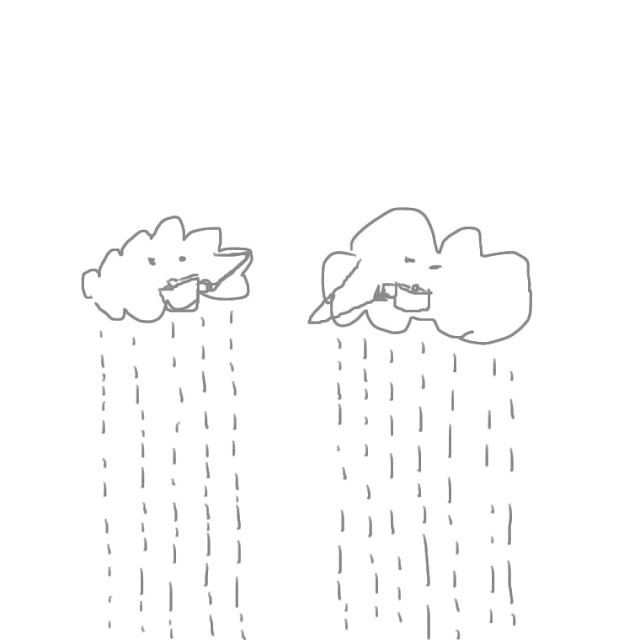 This entry was posted in Drawings and tagged clouds, drawings, rainbows, self discipline, tea. Bookmark the permalink.